Sunburst Construction, located in Ashburn, has provided Virginia masonry services to homeowners in Northern Virginia for over fifteen years. 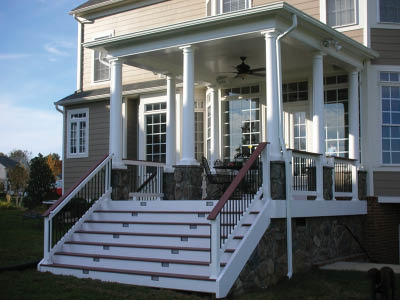 Use one of our printable coupons today and make your front or back porch renovations easier on the pocketbook. Outdoor living has become one of the most popular features of the modern home, and our Class A licensed contractors can work to implement brick or stones pavers, a stone fireplace and many other masonry jobs for your house. Take advantage of our skilled contractors when you want to make your home stand out from the rest with beautiful stone work. Save on your next project with our construction company coupon to make your outdoor living project more affordable. You know you're relaxed at home when you can go barefoot comfortably. At Sunburst Construction, we want to expand your barefoot territory to the outdoors. We provide outdoor living spaces through masonry construction and stonework, to add to the beauty and value of your home. Our contractors can create your new stone fireplace or patio, or help you when updating your back or front porch with stonework. 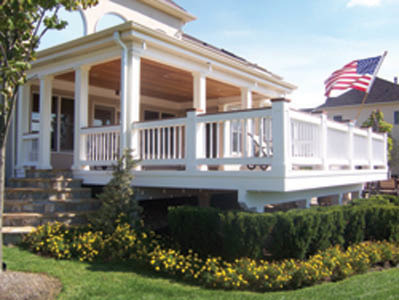 Complete Decks, Deck Replacement, Patios, Pergolas, Gazebos, Masonry, Porches, Porticos, Fireplaces, Fire Pits. Sunburst Construction, located in Ashburn, VA is the best place to go for masonry services. We create outdoor living spaces in Ashburn, Oakton, Sterling, Brambleton and many other other surrounding Virginia cities.